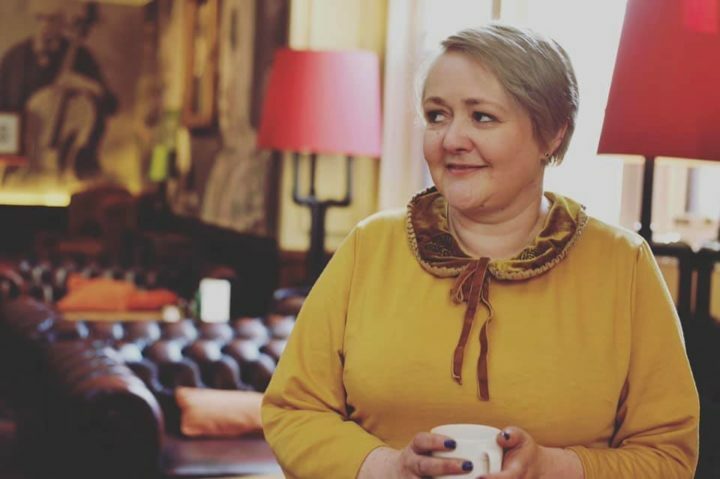 It seems like an actual age since I went to Llandudno last year and had afternoon tea at The Imperial Hotel on the seafront. It was a cold grey day but even still sat watching the sea whilst eating an amazing afternoon tea was such a memorable experience. During this visit to North Wales, we actually stayed in Conwy a few miles away. 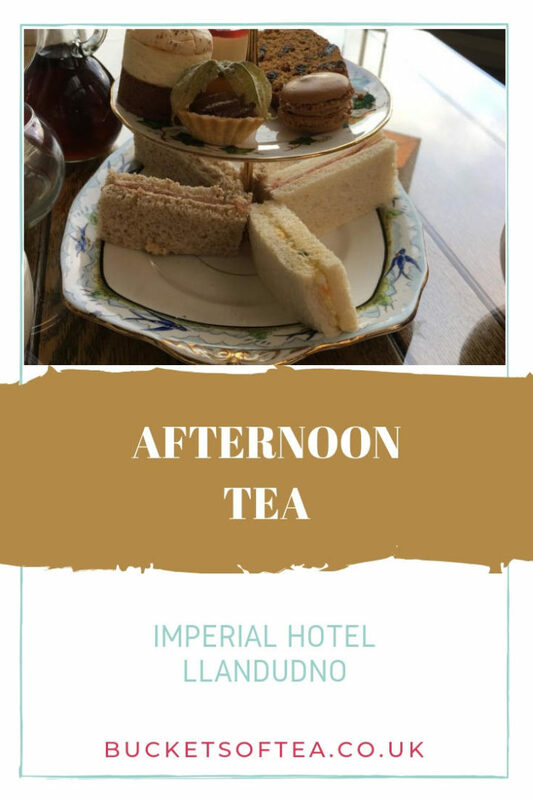 The Castle Hotel in Conwy also does an amazing afternoon tea which you can read my review of here. 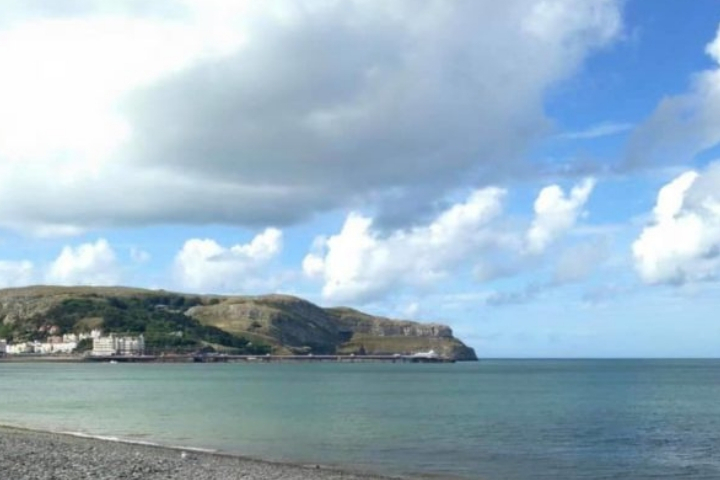 From the Imperial Hotel, there are great views over the Great Orme and Llandudno bay. 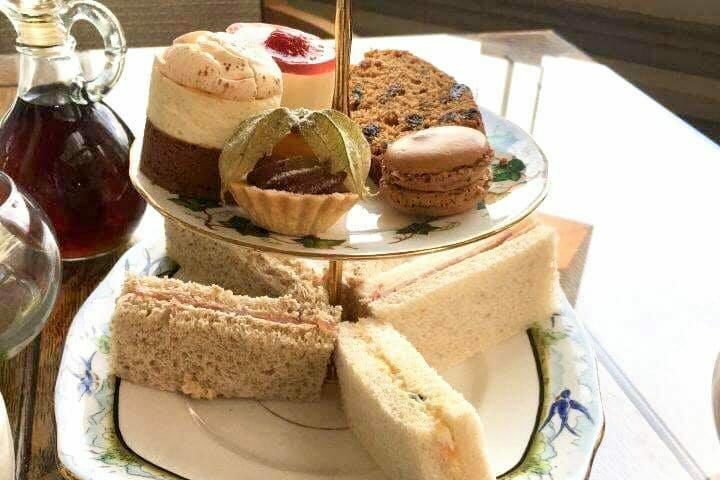 The traditional afternoon tea at the Imperial Hotel has classics such as fruit scones and a slice of Bara Brith to give a taste of Wales. This was followed by a homemade fruit scone which was served warm with Strawberry Preserve & Cornish Clotted Cream. The fruit scone was delicious and very moist. The sweet selection consisted of a slice of Buttered Bara Brith which is a traditional Welsh fruit tea loaf, a strawberry trifle, mini cheesecake, fruit tart and macaroon. The afternoon Tea is served with a refilable pot of freshly brewed tea of your choice. I had the All Day tea which was a nice rich brew. They also serve Darjeeling, Lapsang Souchong or Earl Grey plus coffee. 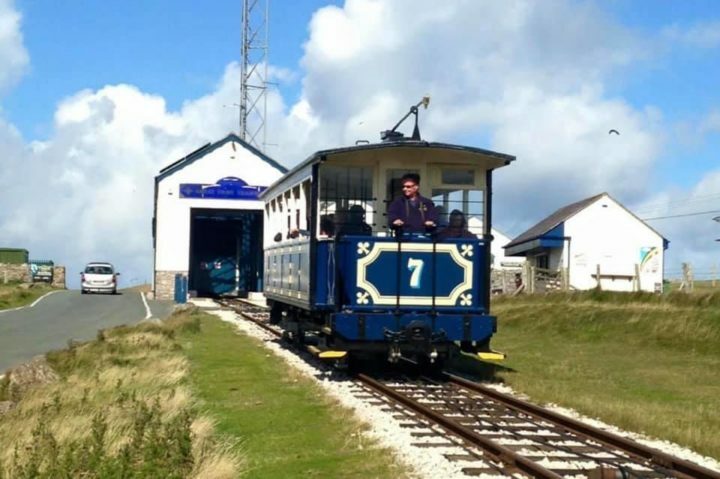 No visit to Llandudno would be complete without a walk along the promenade on the North Shore Beach and along the amazing Victorian pier plus a trip up the Great Orme to view the surrounding area which can be reached by car, a modern cable car or the Victorian tram.